Gramatika consistently tailored to customized to meet the classic grotesque-ish contemporary style. By offsetting the balance and flexibility, Gramatika established to create alternative communications for current trends and consists of several weights including Light to Black, from now, it’s equipped with Latin Pro, Cyrillic, and Greek language support. Gramatika is our first project when we begin running Tokotype back in early 2016, we encouraged making the common grotesque typefaces, but with more neutral and subtle, the typeface was originally referenced from 19th-century Bauersche Schriftgiesserei’s, Venus Fett, and Berthold’s AG Book®, unified with more rounded form to meets today grotesque standard common looks and its charm. The initial version was designed with some consideration, such as choosing the right form of Terminal, it is closed or diagonally open, we also considering adding the detail to each joint and ink trap, but it’s not looking so well when exposed on medium and large sizes, it’s like a losing its neutral touch, from that point, the initial foundation is set as a goal of this typeface, by adding a neutral portion to his personality, and still looks authentic as we seen on the latest version. 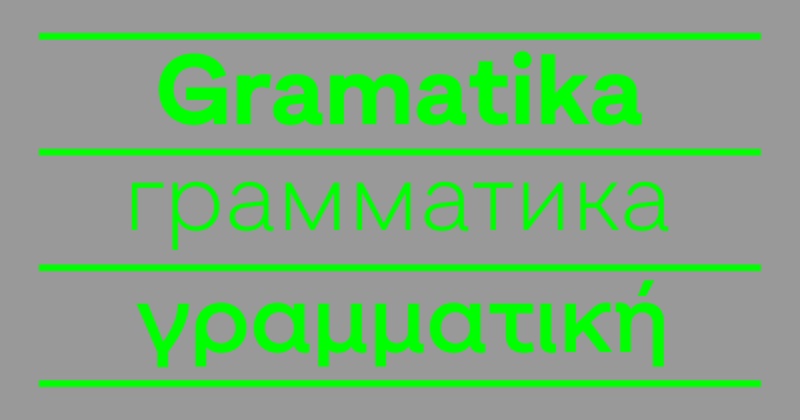 Gramatika with extended Cyrillic & Greek support. 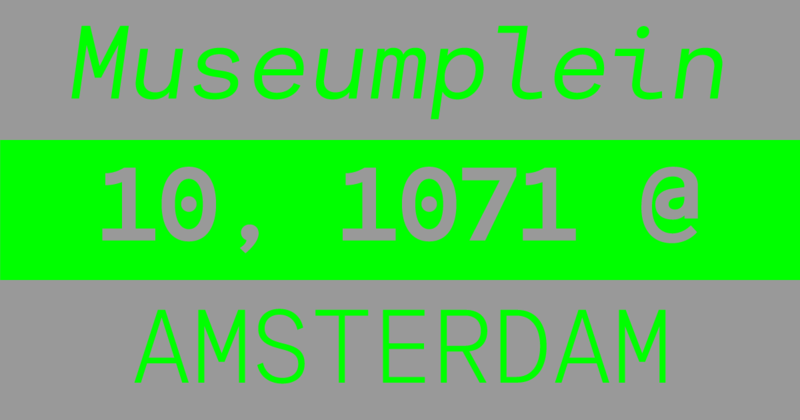 As time went by, it took quite a lot of changes and revisions, a final design is more circular-ish to bring balance and flexibility, with the addition of such a monospace version that is structured flat width, and some more appropriate adjustments like the slight different on encoding (Monospace has OpenType Standard) and only has three styles with matching italics. Additional language has been applied to the latest version, making this typeface is the first family we publish that has Latin Pro, Cyrillic, and Greek coverage. Although it’s still a standard version of Cyrillic and Greek, it is expected to make this typeface widely accessible in conveying the visual language communication that will be created, as the original name derived from the grammar, which is must be going abroad somehow. With the added functionality and new coverage of the language quite extensive, Gramatika provides quite a lot of styles: ten weights from Light to Black, all with matching italics. 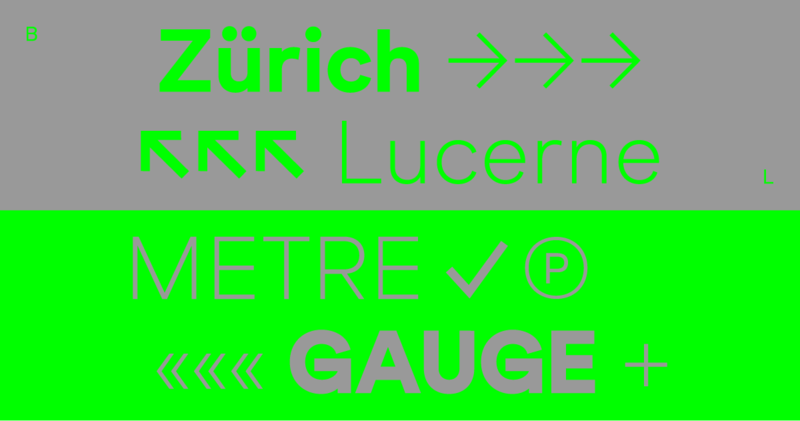 Also with slightly heavier weight makes this typeface look solid and strong, but still in around geometric construction, on the other hand, lighter weight such as light and regular describes something float like a feather and smoother to be applied to a design that is not so much need space. Gramatika is our second released in 2018, to learn more about Gramatika typefaces, check out the PDF Specimen or request the trial to abc@tokotypefaces.com. Gramatika available for desktop, web, and app licensing.